We provide on-site storage with controlled environments to protect your valuables and important business documents. The fairly consistent temperatures and humidity levels prevent extreme elements from damaging your delicate materials. There are times when you need to move your things into storage immediately. UltraStor allows you to select a unit size and move your items on the same day. Our facilities are well-lit, so our clients can access their storage units at any time of day or night. Our clients have the freedom to choose whichever storage size fits their needs, so you won’t have to pay for a larger unit than you need. If you need more storage space later on, that’s no problem. You can transfer between unit sizes as often as you like. You can pay on a 4-week basis, depending on your storage needs. You are not locked in contractually and we do not need advanced notice of your vacate date. In addition to these benefits, we also offer storage advice, referrals and discounts. Contact the UltraStor team today to find out more! If you have decided to put your personal belongings in storage, the next decision you need to make is whether or not basic storage will be sufficient for your items. If you plan on placing such items in storage, you should consider renting a climate controlled unit to keep them from getting damaged. You may also need climate controlled storage if you’re considering mini-storage, long-term storage, or portable storage. What is climate controlled self-storage? Also referred to as ‘temperature controlled storage,’ the basic idea of climate control is to ensure that your storage units don’t fall below freezing temperature in the winter, or rise above 32°C (90°F) in the summer. More specifically, your storage unit maintains a steady temperature of between 65 and 85°F, and humidity levels of around 55 percent. Temperatures usually fall below freezing in winter and above 40 degrees in the summer in most parts of the country. People living in areas that experience such drastic temperature changes should protect their items from the harmful effects of extreme temperatures. Delicate items like antiques and wood furniture can suffer cracking, warping, or splitting when subjected to fluctuating extreme temperatures. Other sensitive items, like books and art pieces, can also be damaged by the extreme temperature changes. 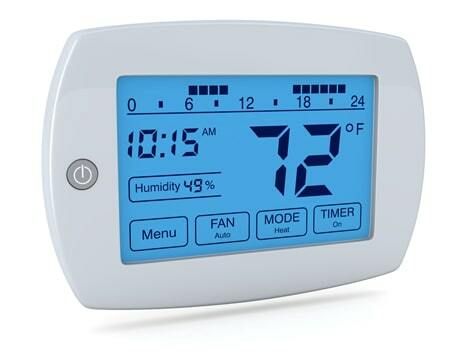 Climate and weather changes in the environment also affect the humidity indoors. Too much air moisture can cause sensitive materials to rot, crack, warp, or promote mildew growth. Climate controlled storage units also offer humidity control function to reduce the risk of moisture-related damage. Climate controlled spaces often feature sealed and insulated walls, roofs, and floors that are less prone to dirt or flooding. The fact that these units are placed within buildings also reduces the risk for rodents and insects attacking stored items. This is one aspect of good storage that is often overlooked. Compared to standard storage, climate controlled units have systems in place to circulate the air, ensuring that it stays clean and free of dust and other debris. Storing your electronics, documents, upholstery, and other sensitive items in such a controlled environment will ensure that they stay in the same exact state you left them in, whether it is for one week, one year, or an entire decade. Generally speaking, the more sensitive or delicate your belongings, the more you should be considering climate control. Providing the appropriate storage environment will help ensure that your items last longer. If you’re uncertain of whether or not your items would benefit from storage in one of our climate controlled storage facilities, simply give us a call. Our storage experts are happy to help you figure it out!